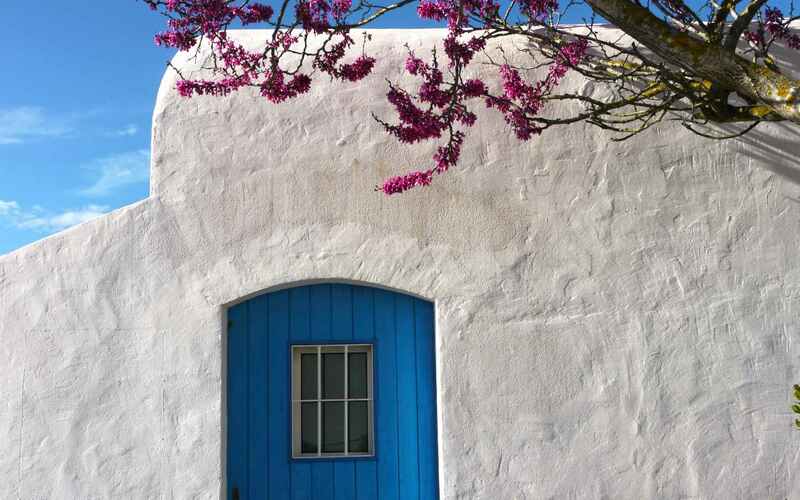 For many people, white is the colour that best represents Ibiza, with its beautiful limestone-walled houses and white Adlib fashion. However, the colours that make this island truly unforgettable are the turquoise of its countless coves and the vibrant fire-red tones that fill the sky at sunset. Therefore, the best way to uncover the magic of this Mediterranean gem is to explore the island by boat and find a different place each day to watch the sunset. Then, as dusk starts to fall, make a stop to visit the capital and Dalt Vila, a magnificent historical and cultural complex that became a UNESCO World Heritage Site in 1999. A Top 10 list of beaches in Ibiza wouldn’t be complete without the following spots. 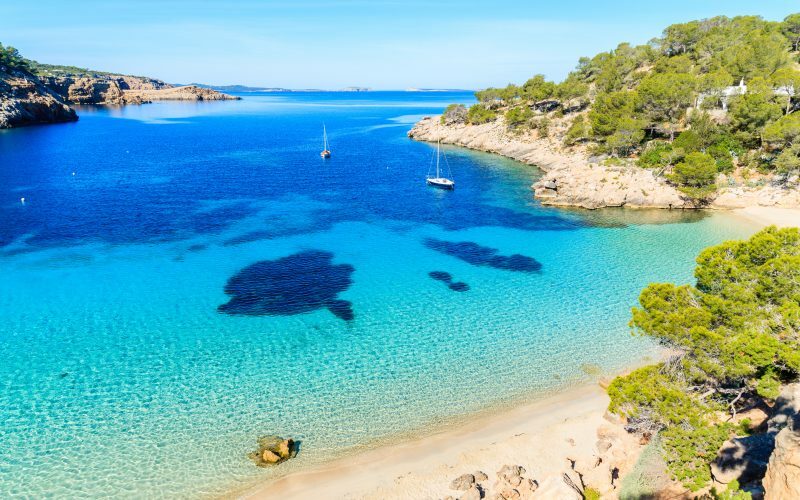 After setting out from San Antonio Bay, your first stop is Cala Salada. Then, once on dry land, head to the viewpoint between Cala Salada and Cala Saladeta. Half an hour away is the beautiful Las Salinas Nature Reserve, where you will the find the salt mountain, one of the most instagrammable spots on the island. Other nearby coves worth visiting are Sa Caleta, Cala Vedella, Cala Compte and Cala D’Hort. 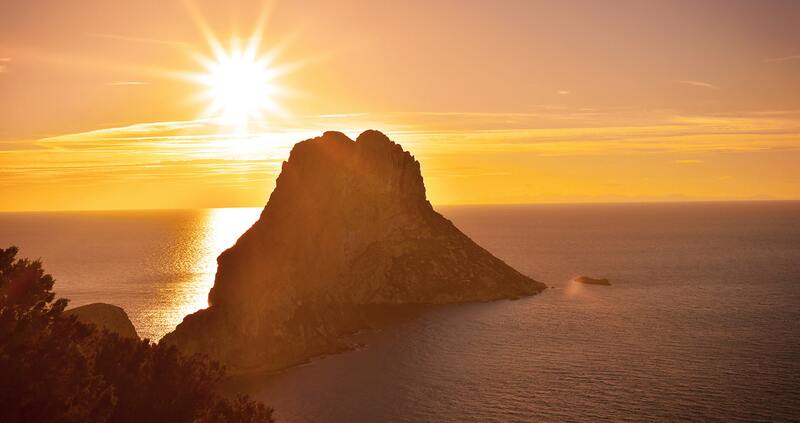 At Cala D’Hort, leave enough time to take in the incredible views of Es Vedrà, a small island that, according to many people, gives off a special energy and has magical properties. Ibiza is famous the world over largely in part to Café del Mar, a historic café located in San Antonio, and the forerunner of all sunset bars. 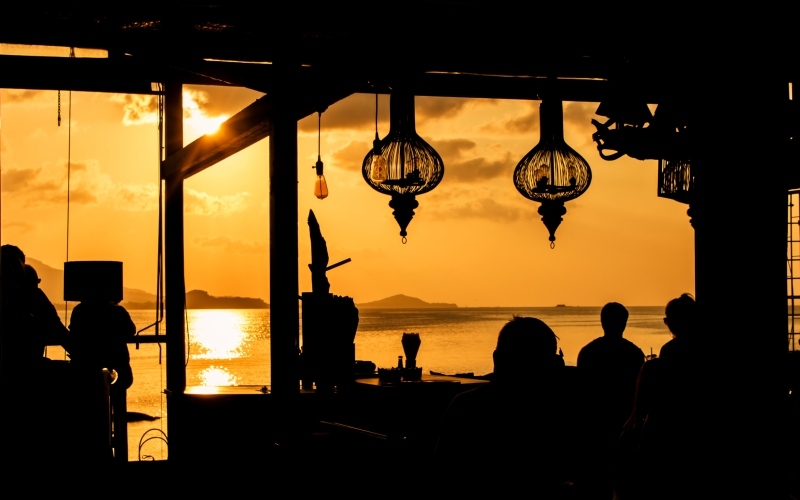 This cafe was the first to patent the unique experience of enjoying a drink while watching the sunset and listening to music by the sea. After all these years, this combination is as successful as ever and is replicated all over the island. So, be sure to end your day trips at one of these enclaves and enjoy the most amazing sunsets. 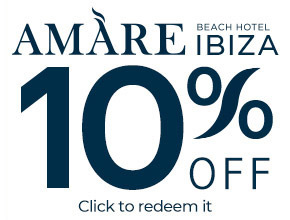 You might like to try Café del Mar, Café Mambo, which is also located in San Antonio, Kumharas in Sant Josep De S’Atalaia, Sunset Ashram beach bar in Cala Compte, or the Belvue rooftop bar at Amàre Beach Hotel Ibiza, where you can take in the exquisite colours of the Ibizan sky while sipping on a signature cocktail created by the renowned bartender Diego Cabrera. 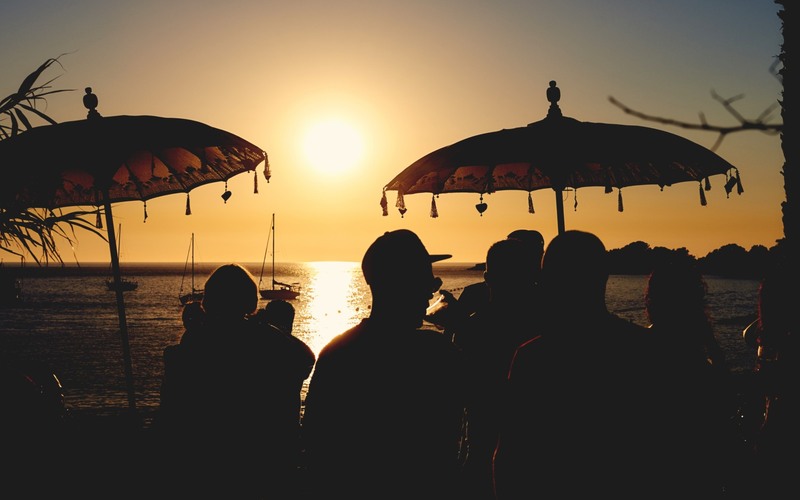 However, if you’d prefer to roll back the years and find your inner hippy, you can bid farewell to the day and see in the night from magical seaside locations, such as Benirrás beach, Es Vedrá, and Las Puertas del Cielo, to name but a few. 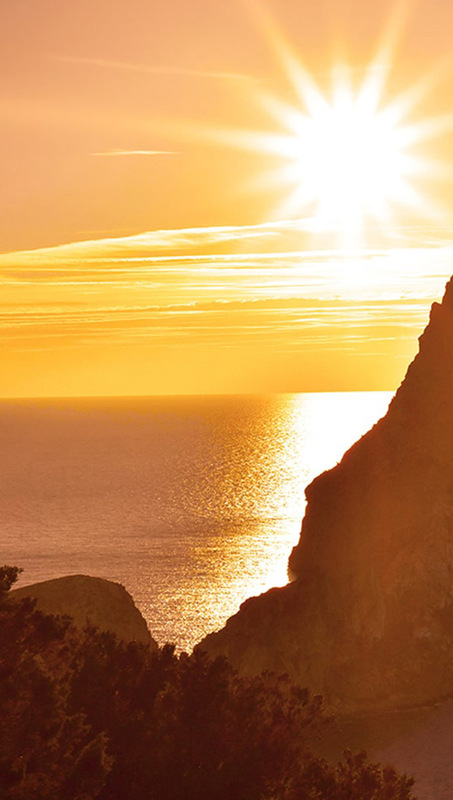 Although most people choose to visit Ibiza in the summer, this Balearic island offers so much more than sun and sand. 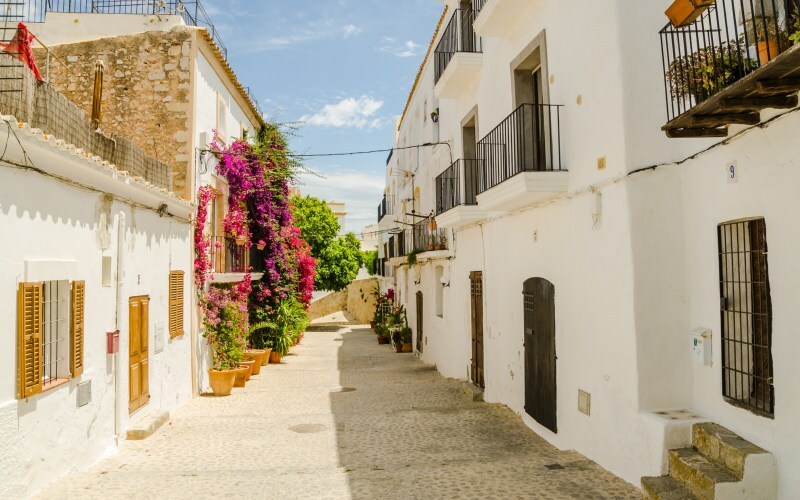 That’s why we recommend visiting Ibiza at other times of the year and exploring its charming inland towns and villages, such as Santa Gertrudis, an idyllic municipality located half an hour from San Antonio. 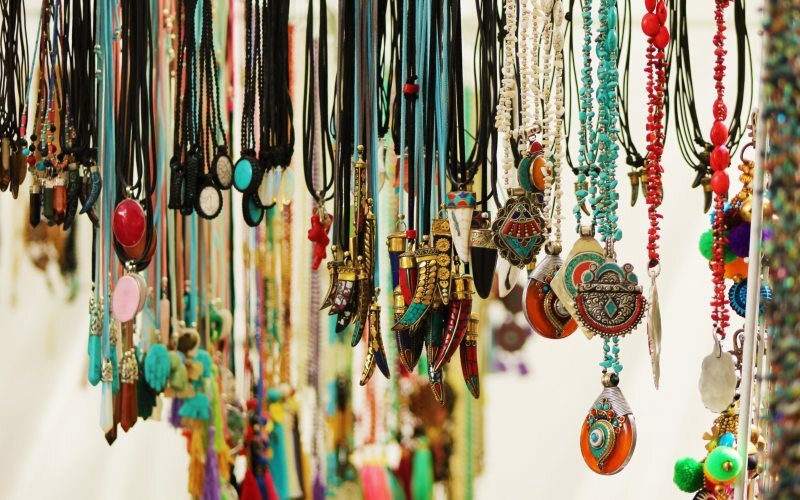 Santa Gertrudis offers a cosmopolitan and cultural environment mixed with typical Ibizan architecture, including a beautiful church and small, quintessentially Ibizan handicraft shops. Other villages worth visiting include San Miguel, San Carlos and its famous Las Dalias market, and the charming Santa Eulalia with its seaside promenade that will bring back memories of family holidays. Ibiza could also be called the island of a thousand faces. The island is home to modern musical events, glamorous experiences and sophistication. Yet, at the same time, it offers privileged natural spaces and is steeped in history. A fine example of preserved history is Dalt Vila, the historic centre of the city of Ibiza, which still boasts its old town walls. 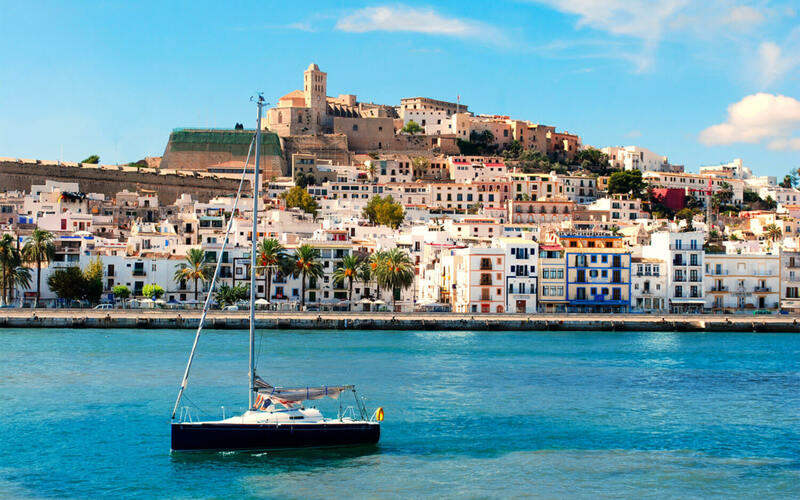 Dalt Vila presides over Ibiza from the top of Puig de Vila hill and offers visitors a stunning panoramic view of the capital and its magnificent port. It is also home to the majestic Cathedral of Santa Maria de las Nieves and the Town Hall. 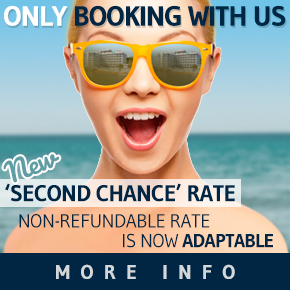 The perfect way to end your visit to one of the most beautiful islands in the Mare Nostrum.